A Roon system starts with a core – it’s the brains behind the operation. 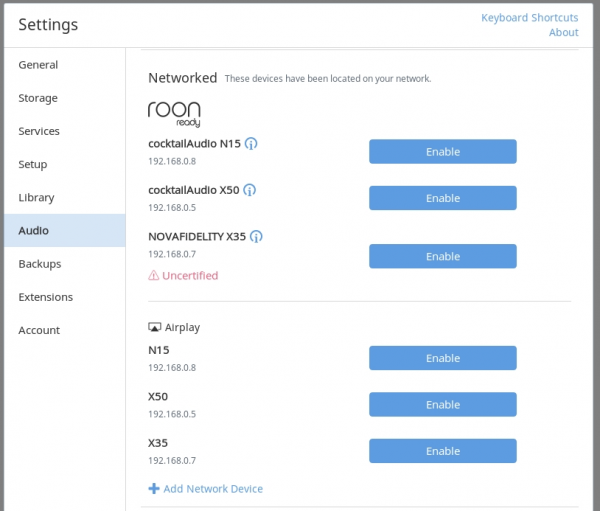 The core can be your Mac or Windows PC, or a server from one of Roon’s hardware partners. - Buy a membership or you can sign up for 14days free trial. 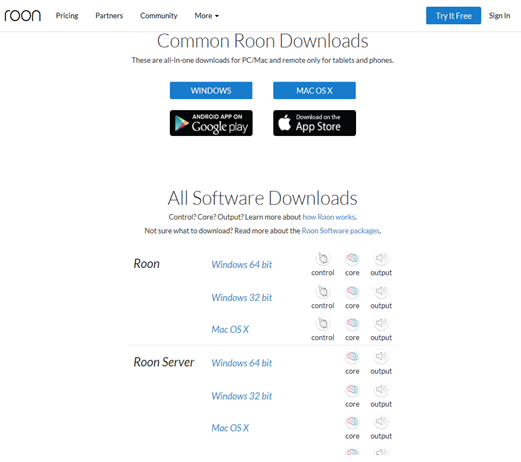 - Download the proper file for your PC or Smart phone OS from Roon down load page (roonlabs.com/downloads.html). - Install the download file by double clicking it. 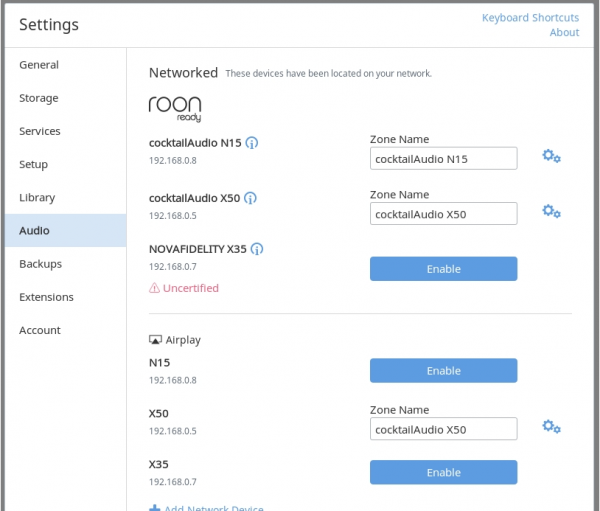 - After install on your PC, you can find the ‘Roon App’ on your PC screen. 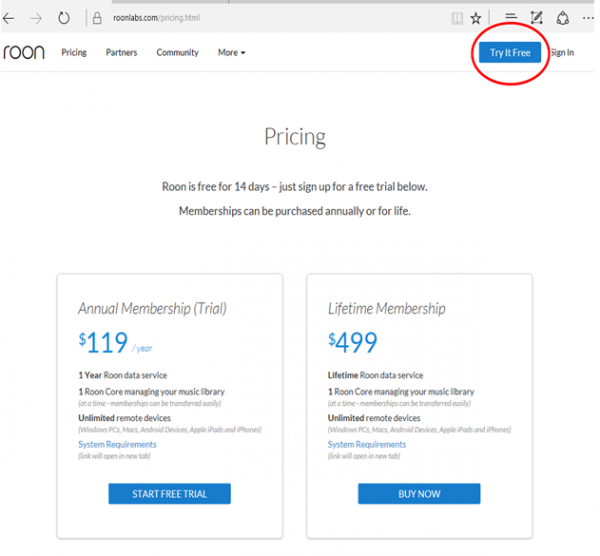 - Open the Roon by double clicking the Roon app, you can see the Roon main screen on the PC as below. - Click the top-left icon(Red circle), then select Settings menu. 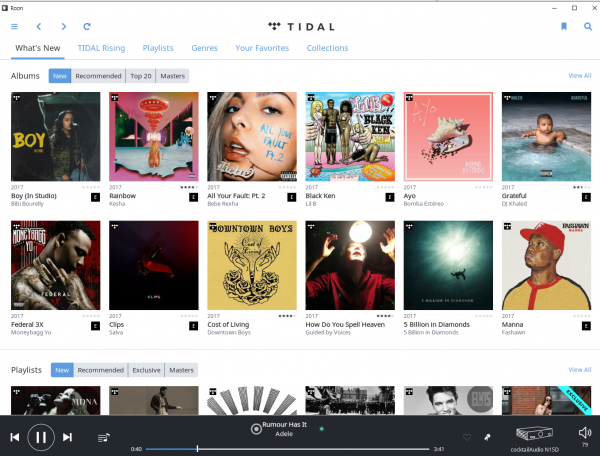 - Then, click the Audio menu and find your cocktailAudio. 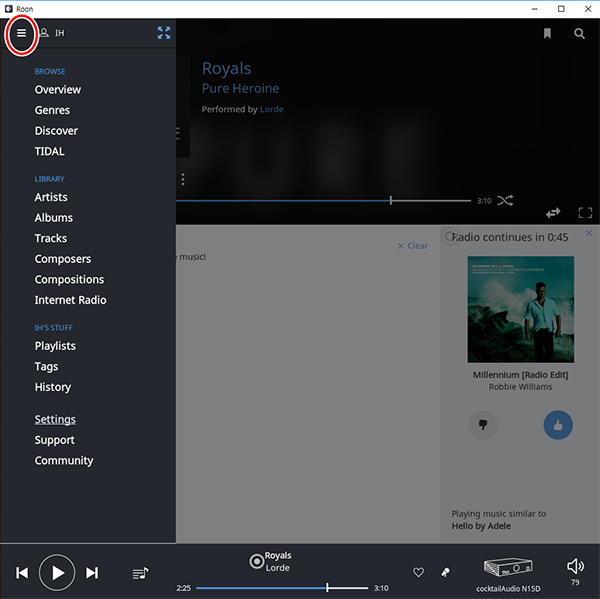 You should see "Enable" button next to it, like seeing here for cocktailAudio. - Click Enable, then name your Device whatever you want. - Click the far right side little gear icon to access the other settings for your cocktailAudio.